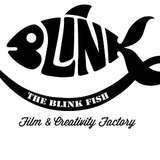 The Blink Fish is a Milan-based production company, a "Film and Creativity Factory" - as the team members like to call themselves - focused on visual communication through the production of a wide range of audio-video products, from music videos and tv adverts to corporate movies and documentaries. Moving among various themes and fields, including communication, fashion and publishing industry, the team is a smart structure composed by video makers and creatives with different kinds of expertise and cultural background. The two creative directors, Giacomo Boeri and Matteo Grimaldi, founded The Blink Fish in 2013 and they work as directors and, respectively, as writer and as responsible for the post-production team. The Blink Fish produced different documentaries and numerous commercial and corporate movies for brands such as Sky, Kinder, Sammontana, Prada, Camera Nazionale della Moda Italiana, Valentino, Aspesi. In 2015 Grimaldi and Boeri directed The Flying Gardeners, a short documentary that shows the Vertical Forest designed by Boeri Studio in Milan from the unique perspective of the three tree-climbers that every four months fly around the "green tower". The two directors catch a glimpse of the acrobatics of the three, while alternating close details of the residential tower with spectacular views and vertiginous shots of the skyline of the city.